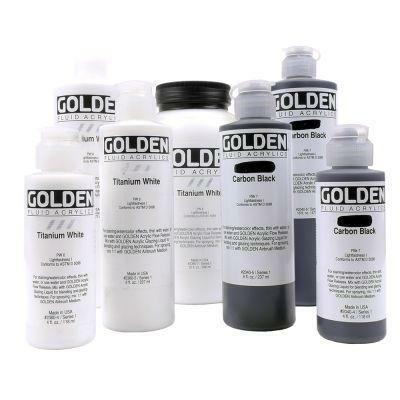 Golden Fluid Acrylics are highly intense, permanent acrylic colours with a consistency similar to heavy cream. 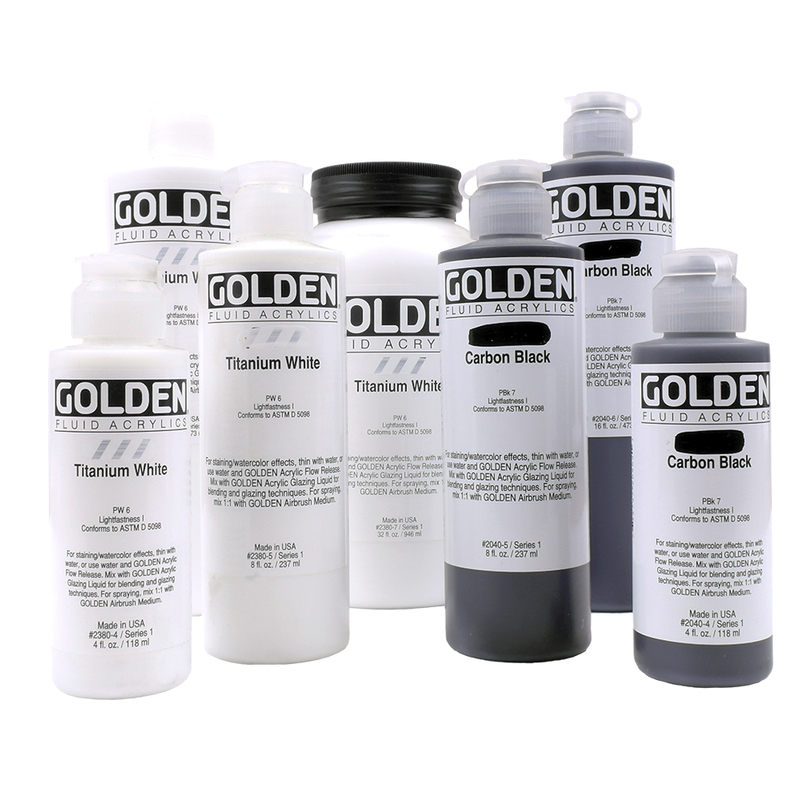 Produced with only lightfast pigment, not dyes, they offer very strong colours with a fluid consistency. No fillers or extenders are added and the pigment load is comparable to GOLDEN Heavy Body Acrylics. We also have Blacks and Whites in several addtional sizes.